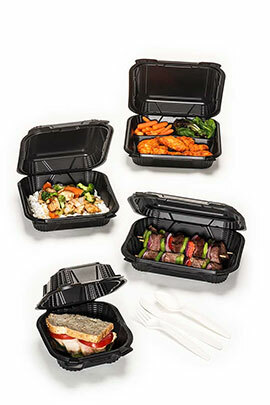 Authentic food presentation is key to inclined sales in today’s market, and there is no better product to use for customer attraction than Genpak’s new A8801 and AS8802 Clear Hinged Food Service Containers. We introduce to you a duo of attention-grabbing packaging that showcases signature menu items to strengthen brand image. They are both addendums to our extensive product line of clear food service containers, and they showcase signature food items beautifully. Here are the reasons why you’ll love these containers as much as we do. First, let’s talk about the obvious. They’re crystal clear! Consumers love transparency, and it’s relieving to have this see-through feature incorporated into our food packaging designs. The A8801 and AS8802 Clear Hinged Food Service Containers provide an unmatched clarity for superior food visualization. They effortlessly speak volumes to shoppers who value an honest evidence of food items. Consumers are more inclined to purchase food contained in transparent packaging because it offers them visual validation. These containers also allow for various viewing angles with our 360 degree packaging design. Sustainability is a high priority in the packaging industry, which can be found in our sculptural clamshell design in the A8801 and AS8802. The rim around top of the container allows for easy stacking and creates shelf appeal. It contains both a secure button-lock closure and our popular Secure Seal® feature, to shield oxygen and maintain freshness of food. The AS8801 was constructed with one open compartment space for custom meal combinations, while the AS8802 includes two slanted compartments to elevate food assortments at a unique viewing angle. Environmentally friendly plastic is a viable attribute that makes us competitive for the future of food service. The A8801 and AS8802 are made of PET, which is a versatile substrate that is widely accepted by most municipalities curb side recycling programs. As a company accustomed to diversifying in our food packaging options, you can make food items look more compelling with the transparent duo that exhibits our sustainability objectives and meets our hygienic standards. 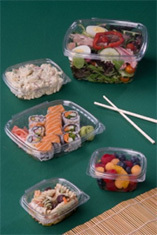 Display your product at its eye appealing best with Genpak’s new A8801 and AS8802 Clear Hinged Food Service Containers! Want more details? Check out our video of the A8801 and AS8802 and tell us what you think in the comment section. Since you’re new to these products, you can request free samples and experience them for yourself. Don’t forget to join us on our social media platforms for a chance to be featured on our page! You can find us on Facebook, Twitter and LinkedIn and simply hashtag #GenpakAdvantage to your next post! Do you have a smart phone? I have a smart phone. My husband has a smart phone. My co-workers have smart phones. Everyone I know has a smart phone. Actually more than 56% of the US population has a smart phone. Eighty percent of young people, ages 18-34, own a smart phone. No wonder every website has a mobile version. But that’s not what I’m getting at. With our population becoming more and more attached to their phone, restaurants need to get to consumers in different ways. Enter online ordering from your favorite fast casual restaurant. You can now get take-out food without even talking to someone. Catering decisions can be made quickly. Placing an order for your favorite dish right before you leave from work and picking it up on the way home just became more convenient. No one trying to up sell you on an appetizer or dessert. 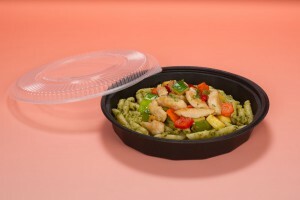 With the ease of ordering take-out food we have seen the increase in usage of our microwave safe containers. Our Smart Set Pro and Harvest Pro product lines fit right in. Take away soups, appetizers and full meals can all be accommodated in these products. Smart Set Pro comes in two pieces black and clear bottoms with clear lids. You can still show off your products while keeping them hot. Don’t forget you can put your brand on the lids! Smart Set Pro containers are reusable. Why not cement that idea of take-out from your restaurant even further when they are using it to store left-overs from home. 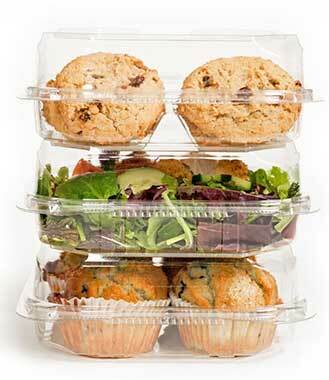 Our Harvest Pro products are hinged containers made of polypropylene and natural minerals. Both of these options are leak resistant, recyclable, and microwave safe. And don’t forget there’s an app for that. With the boom of the iPhone and Android, many restaurants now have loyalty apps that reward you with points, or coupons right in the palm of your hand, encouraging you to take-out, dine in, eat more, and bring friends. Have you ever noticed the increasing gourmet options now located in the deli section of your local grocer? How about the fact there are now more and more options in the deli take-out section, beyond meats and cheeses? Your local grocery store is now a gourmet food court. Take-out options have matured. As we all live busy lives, our nutrition or urge to cook may start to dwindle. And to top it off, it’s SUMMER! You’d rather be doing anything else besides cooking. So why not stop at your local grocer for take-out. Pizza, rotisserie chicken, containers of salads, pasta and meatballs, fresh fish, or some lasagna. More and more deli sections are expanding to include new concepts such as cook to order stations. Mexican bars featuring tacos, enchiladas, chili rellenos and other Mexican specialties, or Asian woks featuring your favorite kung pao scallops. Your options are becoming increasingly upscale, offering you a better food experience. 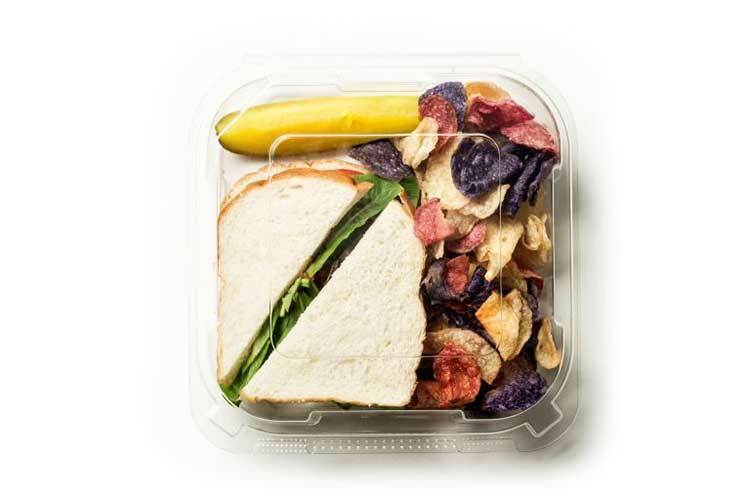 With all that being said, the gourmet options you are purchasing for your family needs to go in a take-out container that’s going to support the weight, heat or cold, and have a secure closure to avoid messes in the car. At Genpak, we produce the best deli containers, hinged containers, microwave safe containers as well as compostable food packaging options. Our hinged deli containers display cold foods wonderfully. They feature a full 360° leak resistant seal and a convenient hinged lid that can be opened and closed multiple times. They are also produced using 30% post consumer recycled content and are #1 curb-side recyclable. 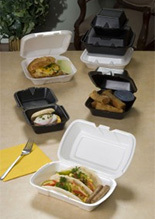 We have the absolute widest selection of take out, foam hinged containers available today. Whether the application is for the salad bar or those gourmet cook to order stations, a foam hinged container is the most economical choice that can be made. For food products than require a heat lamp or must be warmed up at home, go with our excellent selection of microwave safe food packaging. We have rounds and rectangles with one, two or three compartment options. At Genpak we also offer a complete line of biodegradable and compostable food packaging with our Harvest Fiber line. All Harvest Fiber products are BPI certified compostable and 100% all natural. Choose from plates, bowls, platters and a full range of hinged take-out containers too. Enjoying your meal at home as it was intended is the job of the food container. Choosing the right container can make or break that intention. Let your friends at Genpak be Your Food Packaging Company, and help guide you through that process. Drop us a line today and let us know how we can help. 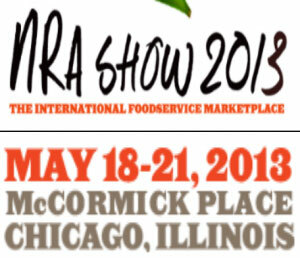 Did you know we will be at the National Restaurant Association trade show in Chicago? You should stop by our booth (#1626) to chat with us about our new Harvest Pro line. More and more restaurants are moving to a more environmentally friendly option. Our Harvest Pro line combines quality and responsibility to bring you a recyclable, non-absorbent, cut resistant, microwavable clamshell. Produced with 40% natural minerals Harvest Pro offers a great way to reduce your environmental impact, but not reduce the quality. Harvest Pro is also leak resistant because of the double lock closures with tab opening. These containers also come in a vented option for hot foods. These options are everything you could ever want in a hinged container. Harvest Pro comes in a range of sizes, from the most popular size, 9″ x 7″, general purpose container for burgers and fries or chicken wings, to the 6″ x 6″ sandwich container. If portion control is an issue Harvest Pro offers two three-compartment containers. Having different size options helps with portion control but also keeps your look consistent. Non-absorbent – your food isn’t soaked into the container. You don’t lose any flavor in your meal. Cut resistant – you don’t end up cutting your table, losing dressing or sauce due to slices in the packaging. Microwave safe – heat up your leftovers without burning your hands, melting the container, or blowing up the microwave. Recyclable – when you are through, toss it in with the rest of your recyclables. Did you say you wanted something with a design on it? Well Harvest Pro can do that too. We have embossing options available to suit your needs. Stop by our booth for a chance to win a Summer Survival Kit containing cutlery, cups, plates, and bowls; everything you need for a party! See you soon.